The sideboard has undergone a quite but striking make over and is no longer a bland, boring place to store the best dinner service it’s now a statement piece which makes an impact on your room. These sideboards are a clever mix of practicality and statement, from co-ordinating ranges to a standalone piece to wow. 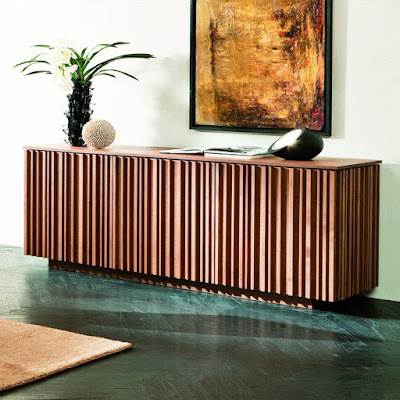 Super striking rectangular sideboard with 3 structured veneer panel doors in solid ash and veneered top, stained to match in a colour of your choice and set on a matching plinth. This fabulous unit then opens to reveal adjustable internal shelves made from natural glass. In essence this piece will make a feature in any room. Developed and produced entirely in Italy Pacini e Cappelini's collection is a statement of design intent. With contemporary elements this brand is typically Italian in taste. Matte black wooden cabinet with four charcoal faux vellum doors, brass handles and satin brass finished legs. 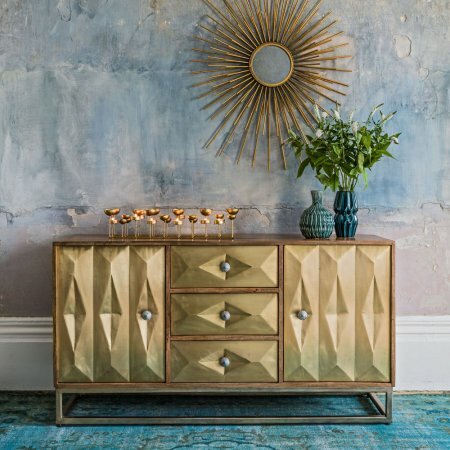 Create a decadent backdrop for your next stylish soiree with the Andrew Martin Edith Cabinet. 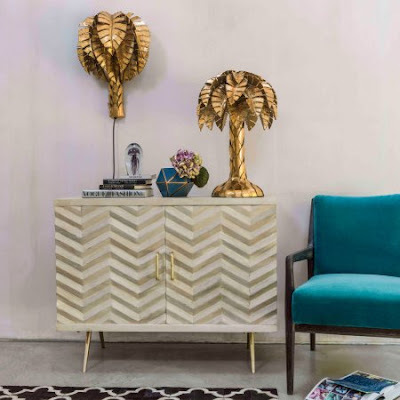 Inspired by Art Deco glamour, this distinctive design piece is a true icon of style for both classic and contemporary interior spaces alike. 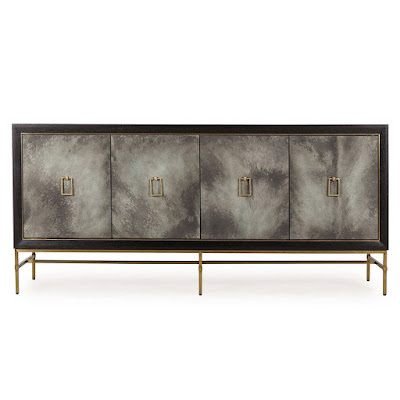 Offering generous storage, the cabinet includes four smart faux vellum calf skin doors accented by exquisite brass pull handles. Rectangular in shape, Edith boasts a strong matte black wooden construction elevated elegantly by chic satin brass finished legs. Dusty pink lacquered wood veneer cabinet with rose gold finish hardware and glass top. Embrace the retro allure of the Kelly Hoppen by Resource Decor Diaz Sideboard Dusty Pink Veneer Glass Rose Gold Finish. 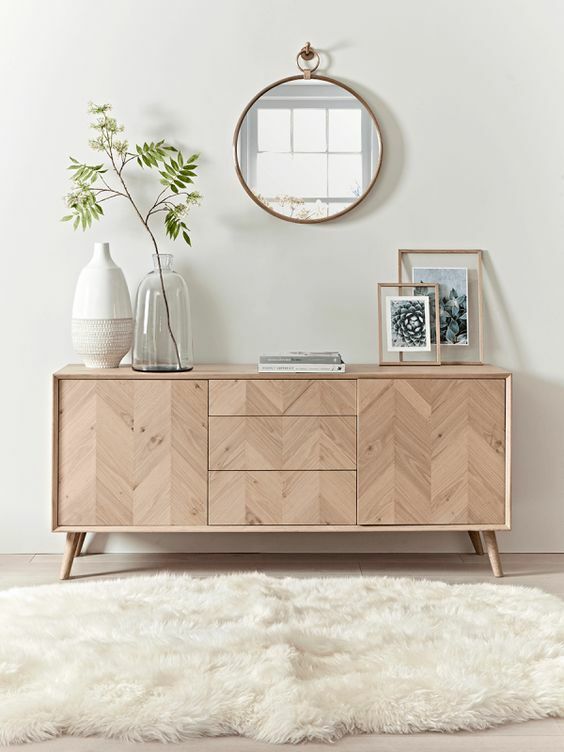 Inspired by 1950s Scandinavian sideboard archetypes, this luxury mixed wood veneer sideboard cabinet exudes a feeling of timeless designer appeal. Offering ample storage with 3x small soft close drawers, 1x large soft closing drawer and 2x push catch doors each with shelving inside, Diaz is ideal for keeping lounge and dining room clutter under wraps. 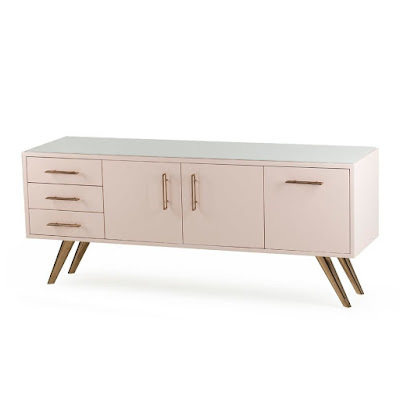 A blush pink lacquered finish then adds an aura of femininity to the design as stainless steel legs and hardware channel a touch of metallic allure, adorned in rose gold finish. Look closer and the top surface is protected by a transparent glass top, providing a lovely pedestal for your own styled curation of table lamps or luxury home decor accessories. 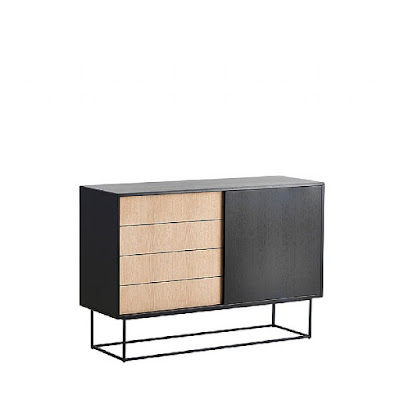 Crafted with Oak,the Tendra is a stunning sideboard which features sliding doors and is finished with contrasting black for a bold statement. Contemporary, stylish and of upmost quality, this piece of furniture will work seamlessly into your interior. Art deco inspired, this Umberto Brass Sideboard is a distinctive piece promising timeless style. 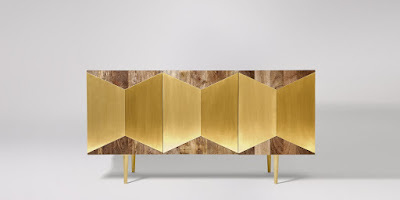 Made from mango wood, the brass finish gives it a luxurious quality complemented by the iron framework. Ample storage space is concealed behind three drawers and two large cupboard doors, ideal for stowing away everyday household items. 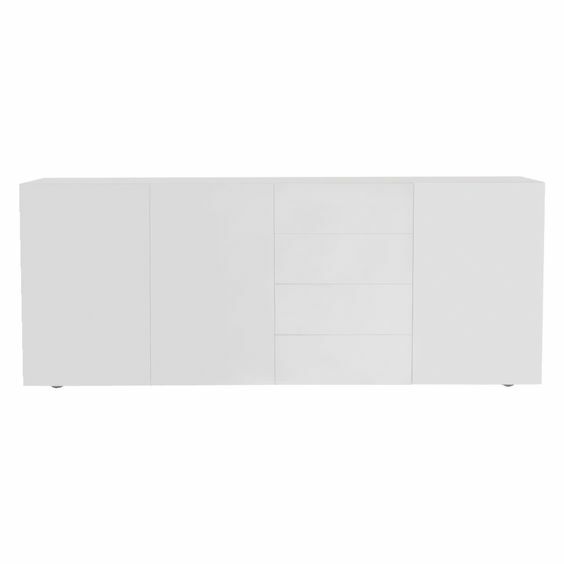 Italian made, high gloss lacquered Aspen white sideboard has a high gloss lacquered exterior in a chic white shade with a grey interior. Doors have push latch catches for a smooth handle-free look.Interior shelves are also adjustable making this a versatile piece of storage for use in the dining room, bedroom or kitchen. 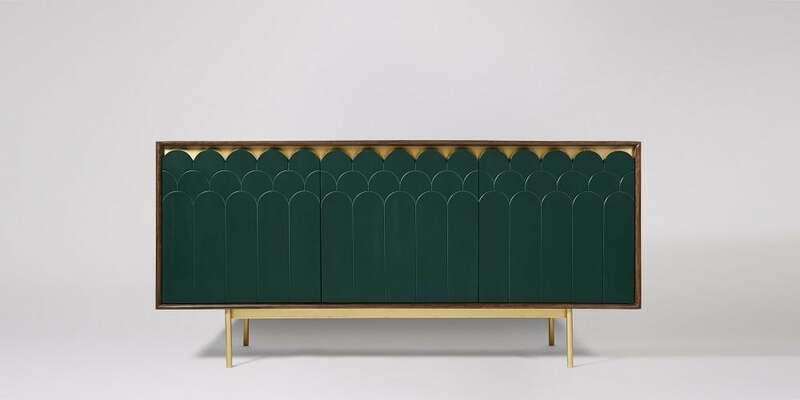 Showcasing sheer luxe, the Connie’s scalloped green frontage pays homage to iconic Deco design. Theatrical and daring, the flashes of brass on this sideboard put it in a whole new class of beauty.